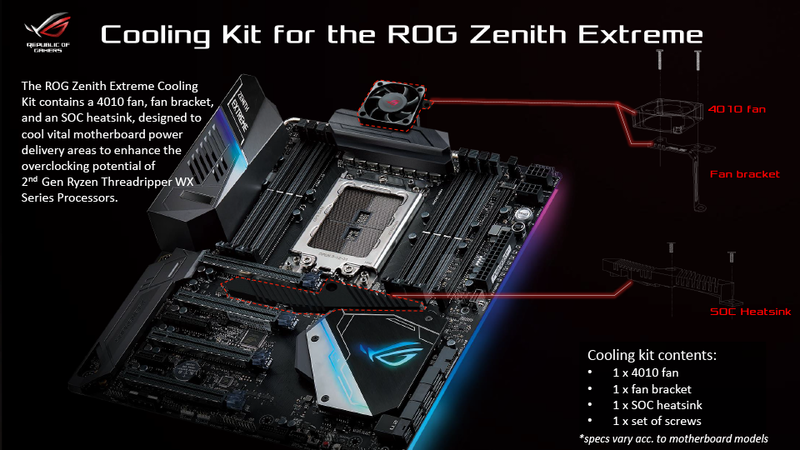 ASUS has just announced the latest cooling kits for their current X399 motherboards which will allow full overclocking support of the upcoming 2nd Generation Ryzen Threadripper processors. The new cooling kits would be sold separately and would feature compatibility with all existing ASUS X399 motherboards. 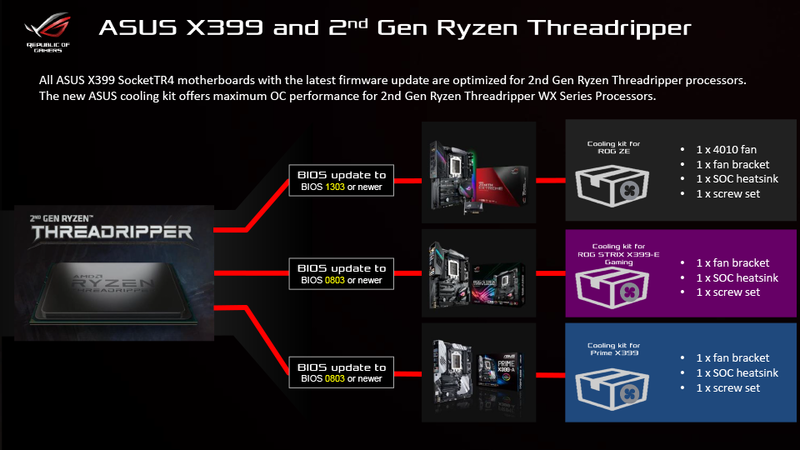 Featuring support on the existing ASUS X399 motherboard lineup which includes the ROG Zenith Extreme, ROG STRIX X399-E, and PRIME X399-A, the new cooling kits will be available with the 2nd Generation Ryzen Threadripper WX series launch in mid of August. The cooling kits will not go out as a bundle but would have to be bought separately. The ASUS X399 Cooling kits would include a single fan bracket, a single SOC heatsink, and a set of screws. The one with the ASUS ROG Zenith Extreme would additionally include a single 4010 fan to provide active cooling to the VRMs while with the other boards, you’d have to purchase a fan by yourself. The SOC heatsink would be able to cool off the 3rd party controllers on the motherboard and offer the additional cooling capacity to the PCH heatsink. You’d have to make sure that you’ll be purchasing cooling kits for your motherboard model as specifications of these kits vary for each board. 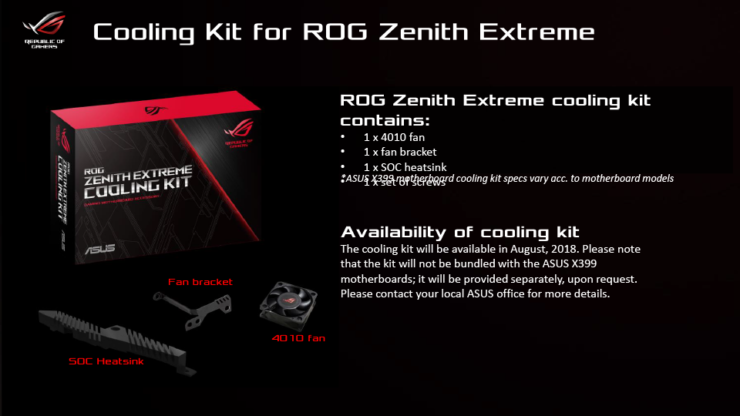 I think the cooling kits make sense but it would have been a better option if ASUS provided them to all users who purchased the motherboards without any extra cost. These motherboards were said to support current and future iterations of Ryzen Threadripper processors and since the new Ryzen Threadripper WX series will be bumping the TDP from 180W to 250W, the extra cooling is more of a necessity. 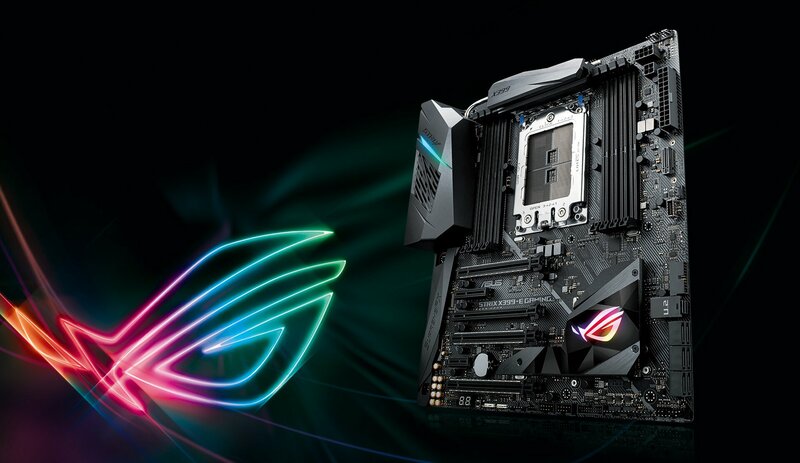 In addition to the cooling kits, ASUS is also offering new BIOS firmware for their current X399 PCH motherboards to support the upcoming processors. The updated ones haven’t been uploaded on ASUS’s webpage but we will let you know once they do. Will you purchase the 2nd Generation AMD Ryzen Threadripper CPUs?